A Balloon Pop Relay Race is a fun party game for any occasion. This is a game that kids of all ages, even adults, can play. Play this game indoors or outside, but you need plenty of room to run. Blow up enough balloons for each of your guests to use in the game. Blow up extra in case some pop before you can use them. Mark off a line onto the grass or floor using masking tape or an item such as a jumping rope. About twenty feet away or so, place two chairs about five feet apart side by side. Place a garbage bag full of balloons beside each chair. Separate your party guests into two equal teams. Have each team line up behind the line you've marked off. The first to go in each team should stand on the line beside each other. Shout, "Go!" as the first player in each line rushes toward the chair designated for their team, grabs a balloon out of the bag and puts it on the chair. Each player should sit on the balloon, jumping on it if they have to, to pop it as quickly as they can. Instruct the players to run back to their team after successfully popping their balloon and tag the next person in line as fast as possible. The next player then goes to the chair and pops their balloon and so forth. Win the game by being the first team to pop all your balloons and reach the finish line. Give a prize to each member of the winning team. You can also give out a small consolation prize to everyone else. If you don't have two chairs to use, have the players approach a certain spot that you've marked out and stomp on the balloons instead to pop them. 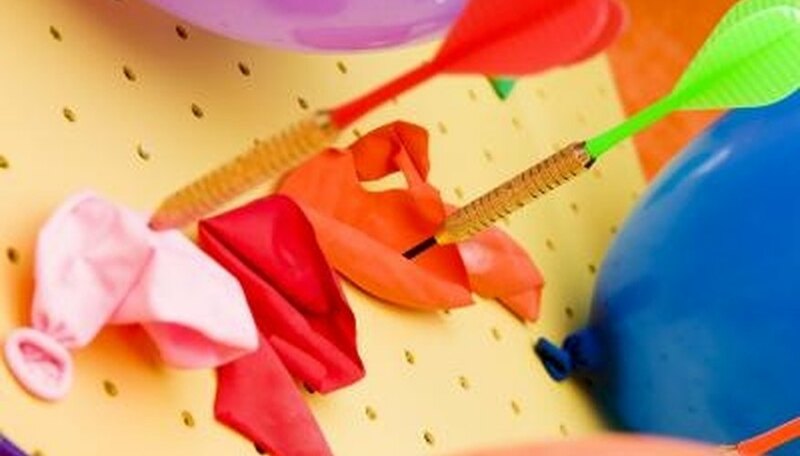 Don't forget to tag the next person in line as you approach your team after popping your balloon. If you fail to tag the player and they run off to the chairs, the referee will make them go all the way back so you can tag them before they can pop their balloon, wasting time that may end up costing you the game.